Wii RPG The Last Story has a very familiar name, but creator Hironobu Sakaguchi says it's not going to be a Final Fantasy clone. Hironobu Sakaguchi has stated that The Last Story, the Final Fantasy creator's latest project with his studio, Mistwalker, developed alongside Nintendo for the Wii, won't be a Final Fantasy clone despite its nearly synonymous name. He was recently involved in a mini-feud on Twitter with Final Fantasy Gaiden director Takashi Tokida where he made the claim. As translated by Andriasang, Sakaguchi began by asking Tokida: "How about stopping with the Final Fantasy rehashes?" Final Fantasy Gaiden actually looks like a creative little game, so Sakaguchi was likely ribbing his Final Fantasy comrade. 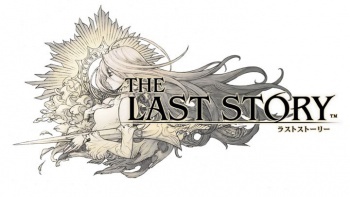 The comment seemed to inflame the Twitter community, as someone tweeted to Sakaguchi: "From the title, Last Story gives the feeling of being a big Final Fantasy rehash." Sick burn. Sakaguchi's reply, now deleted for some reason, was: "I think you'll feel this once you've tried it. Last Story is not a rehash." With the variation of Final Fantasy titles available simply in the main series, not including any of the wacky offshoots, Sakaguchi could easily get away with this statement no matter what The Last Story ends up as. Still, when you consider that the game is being developed for the Wii with Nintendo, it probably will involve lots of waggling and wiggling (or at least some), and possibly forego well-known RPG staples such as random battles. Sakaguchi could have his own reasons for naming The Last Story in a similar way to Final Fantasy. He could want it to be his rebirth a la Final Fantasy for the NES (which really was intended to be Square's last hurrah). Mistwalker's previous projects have ranged from the very Final Fantasy-similar Blue Dragon to the more unique Away Shuffle Dungeon, none really lighting the world on fire like Final Fantasy. We just don't know what Sakaguchi means here yet, but hopefully he'll back up the comment when The Last Story is eventually shown.